Prediction has a venerable tradition among economists. 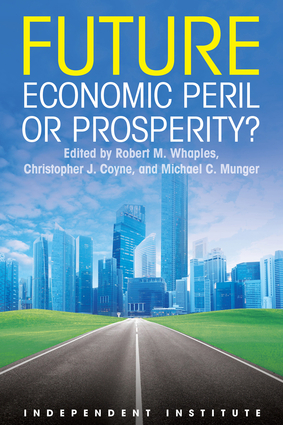 In "Economic Possibilities for Our Grandchildren," John Maynard Keynes, the well known classical economist,—even as the Great Depression was unfolding—famously threw aside the contemporary "attack of economic pessimism" and predicted that a century later the "standard of life" in economically progressive countries would be "between four and eight times as high as it is to-day." History has generally vindicated this optimism. As a whole—like Keynes and other economists who have answered this question about the future—our experts are generally optimistic, although the optimism is carefully guarded in some cases. This optimism accords with the broader opinion held by economists surveyed about a decade ago, although the intervening ten years of disappointing economic performance appears to have tempered it a bit. The reasons for economic optimism are abundant but can be boiled down to the fact that economists expect technology will continue to improve provided that reasonable economic incentives to encourage this discovery and to implement its fruits persist. The predicted changes range from innocent innovations that will make life a bit more comfortable (such as the pillow that learns your sleep rhythms partnered with the coffee maker that knows when you have awakened) to potentially chilling technologies that might strip our human dignity (including the almost complete elimination of privacy and electronic supplementation of the brain embedded in a government controlled educational system). So pull up a chair and listen to our group of experts expound on what they think our economic future is going to look like in fifty years! Christopher J. Coyne is the F.A. Harper Professor of Economics at George Mason University and Co-Editor of The Independent Review. Michael C. Munger is Co-Editor of The Independent Review and Professor of Political Science, Economics and Public Policy, and Director of the Philosophy, Politics, and Economics Program at Duke University. Robert M. Whaples is Co-Editor and Managing Editor for The Independent Review and Professor of Economics at Wake Forest University.